This is a continuation of our last post from August 17th about BT3-032 Son Goku/ Heightened Evolution Super Saiyan 3 Son Goku. 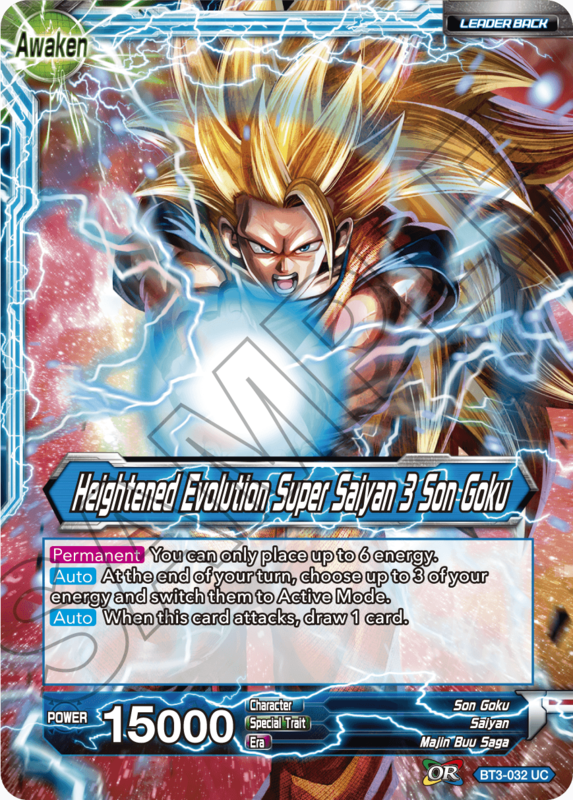 As we said before, having seen the decks of top players from National Championship Regionals in North America, and just in general, we limited BT4-045 The Legendary Flute to one copy, and decided to take Heightened Evolution Super Saiyan 3 Son Goku off of the watch list. However, even after the limiting of The Legendary Flute on September 21st, taking the current meta into consideration, we still believe that the Super Saiyan 3 Goku Leader will continue to dominate the competitive scene. So because of that, BT3-032 Son Goku/ Heightened Evolution Super Saiyan 3 Son Goku will be temporarily banned, started September 28th. We currently plan on banning the card from then until November 8th. It will again be usable starting November 9th. We in the Dragon Ball Super Card Game Team wish to offer our sincerest apologies that we were unable to see this coming back on August 17th. We also owe our uttermost apologies to players participating in tournaments around the world. We ask for your continued understanding as we work hard to improve the meta for the game going forward. We’re dedicating ourselves to designing more cards in hopes that Dragon Ball Fans and card game fans alike can enjoy our game. We ask that you continue supporting us in the future.